With his rare combination of size, speed and competitive intensity, Jackie Smith redefined the position of tight end in the NFL. The St. Louis Cardinals drafted the Louisiana track and football star in 1962, and he became a fixture with the Big Red for 15 seasons. Timed at 9.8 seconds in the 100-yard dash, Smith’s speed made him a unique offensive threat among tight ends, and hard work turned him into a punishing blocker. He played in five consecutive Pro Bowls, and was named All-Pro in 1967 when he caught 56 passes for 1,205 yards and 9 touchdowns. 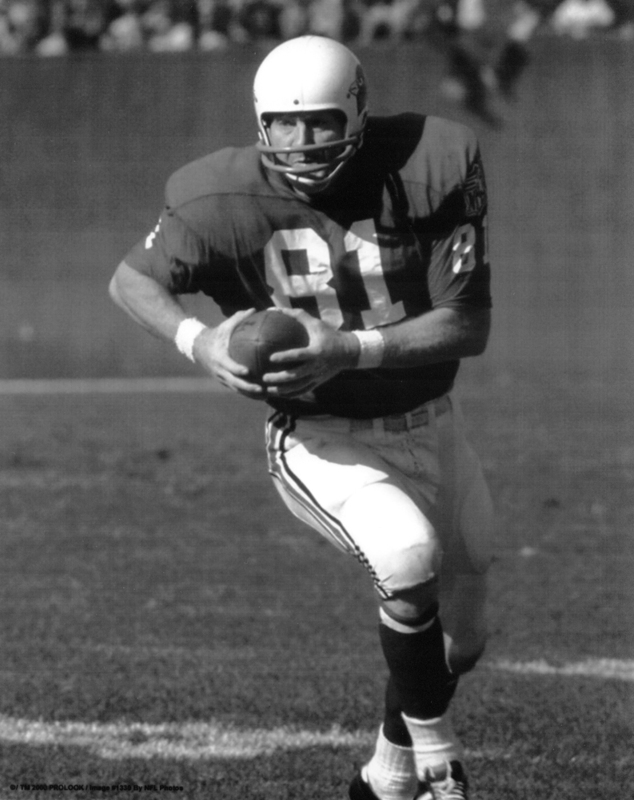 The leading receiver among tight ends when he retired, Jackie Smith was elected to the Pro Football Hall of Fame in 1994.